Don’t let your talents be hidden, let our unrivalled mouthguard do the disguising for you and shock your opponents with our Power-Fit Camo mouthguard. Our six unique camouflaged designs intertwine three different colours to create a gum shield which is stylish, bright, and exclusive to you. 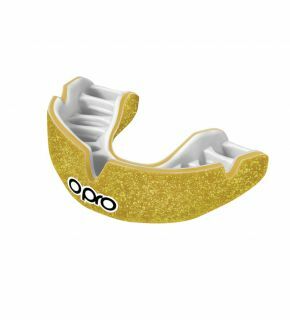 What makes your OPRO Power-Fit mouthguard unique? Our unique Power-Cage: Not only does our unique design allow for an unrivalled fit and exceptional comfort, but it’s also handy for moulding your mouthguard, making self-fitting a quick and easy process. 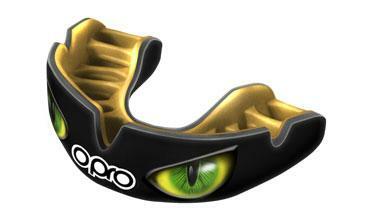 Even compression: The cage provides even compression over the whole Power-Fit mouthguard during the moulding process for a highly retentive fit. Handmade and unique: Make a statement from our selection of eye-popping, bold designs. Every Power-Fit mouthguard is made and assessed by hand to guarantee quality. Choose yours today. Your teeth; your style. 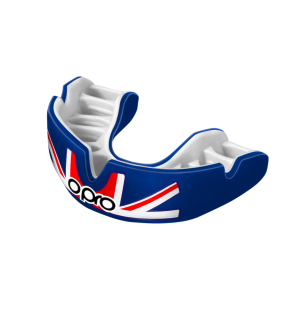 Peace of mind: The Power-Fit mouthguard from OPRO is legally CE certified and comes with a comprehensive dental warranty worth up to £20,000. You can’t put a price on keeping your teeth intact. For a step-by-step guide to help you fit your Power-Fit mouthguard, please see visit our How to Fit page. The process is quick and simple; let us show you how. Are you ready to get started? If so, you can shop below. If you have any questions, check out our FAQs or better yet, get in touch with the team today.